He was lucky to survive. The three-time Pro Bowler, who had developed a reputation for delivering bone-jarring hits and ending careers, narrowly escaped a broken neck and kidney failure from the trauma. The collision took its toll on Arrington and it was time for him to move on, away from the game of football, and on to his post-athletic life and career. After seven seasons in the NFL—six with the Washington Redskins and his final season in 2006 with the New York Giants—it was a tragic ending to the storied career of the second overall pick in the 2000 NFL Draft. Not one to indulge in self-pity, the articulate and unabashed Arrington didn’t waste any time in making the transition to a career in broadcasting. A few games into the 2007 season, he started working as an analyst for Comcast SportsNet on their Redskins pre-and post-game shows. Aside from broadcasting, Arrington’s entrepreneurial spirit led him to open up a 7,500-square-foot restaurant and start a clothing line with former University of Miami linebacker Rohan Marley. But all of these endeavors would play second fiddle to Arrington’s true calling—mentoring younger athletes. In 2008, Arrington founded LEAP Management LLC, a boutique sports management firm dedicated to assisting top college football prospects with their professional careers. He has worked with numerous former Penn State players including Aaron Maybin, Josh Gaines, and Tyrell Sales. Through LEAP, Arrington has prepared his clients for their Pro Days and the NFL Combine, as well as guided them through the transition to the NFL. What initially started as a vehicle by which Arrington could mentor younger players would eventually develop into something much bigger. Early last month, Arrington launched a training system called Xtreme Procision (XP), which uses color-coded football apparel and detailed exercises to teach amateur athletes the proper fundamentals. The company came about when Arrington was training one of his “kids” for his upcoming Pro Day, and couldn’t get him to understand what he wanted him to do. Arrington conceptualized visuals in his mind—then drew them on a shirt to illustrate his point. The visual aid was magic, everything clicked, and his “kid” picked up the movement immediately. It was simple, yet profound. At that moment, the concept for XP was born. Arrington slipped away to his office in the basement. He took a shirt and put it on the ground, and repeated what he had done earlier at the Pro Day: he traced his hands where he thought the player’s hands should go. Next, he went on the Internet and started looking up the best players in certain positions to study their mechanics. He chuckled as he recalled how he would print these images out, then use tracing paper to capture where these players were placing their hands and arms, or carrying the ball. Arrington tapped into his specialized experience as one of the NFL’s most feared warriors to boil the game down into its most basic movements. “Already knowing what the movements are, I knew if they were correctly executed fundamental movements or not,” said Arrington, who googled players like Tom Brady, Payton Manning, and Walter Payton. Arrington got as far as he could go conceptually before he says, “It was just going to be a nice little concept sitting on a counter.” Armed with a package of drawings, Arrington teamed up with James Warlick, the owner of an apparel embroidery company who could turn his concept into a reality. After nearly 3 years in the making, the XP training system and performance-apparel line was brought to the market this past December. The XP training system uses a combination of detailed training exercises for each position with visual target zones and a numbering system on jerseys, pads, and long and short sleeve compression shirts. There are two XP training videos—The Perfect Offense and Defense DVDs—that feature on-the-field player demonstrations using a series of drills that correspond to the training apparel. In discussing some of the XP products, Arrington spoke about how the “Perfect Carry” jersey works in conjunction with the Perfect Offense DVD to reinforce strategic ball security. The DVD includes a drill that instructs a ball carrier to run to a cone, take a 1-2 step, and then switch directions to run to the next cone. When changing direction on the field, Arrington emphasized how the player must switch the ball to the opposite arm, but still keep it high and tight on the colored portion of the jersey. This way, the ball carrier can avoid getting the ball punched or ripped out (by a defender). On the defensive side of the ball, the “Perfect Tackle” jersey details strike zones on the body. It’s marked in a way that a defender chasing a ball-carrier from behind or coming from the side can see where he needs to stick his shoulder or punch his arm to dislodge the ball, even if he can’t see it. With XP’s simple approach, Arrington said that nearly everyone he talks to about his fledgling company is naturally surprised that he’s the first one to come up with this idea. To Arrington, XP is nothing novel; it presents a blueprint of the game’s fundamental maneuvers. XP will target young athletes at the grassroots level, from Pop Warner to high school football. In Arrington’s view, these are the best places for XP to get into the battlefield, as it’s easier to impress the XP way on younger players. Young athletes, who are either not knowledgeable about the core techniques or need to reassess how they do things, are more receptive to being taught the fundamentals. Arrington claims that XP was designed in a straightforward way that allows anyone, from coaches to single mothers, to watch the DVDs and teach someone how to do it. He believes this will contribute to more people being equipped to teach the fundamentals of the game, which in his opinion, have increasingly become less of a priority over the years. He points to some of the apparel companies that want kids to believe in and buy into the NFL Combine training. Arrington recognizes the role it serves as a recruiting tool to assist teams in determining the best players, but he also feels that it detracts from teaching the fundamentals. “What if you actually took the time to come up with something that taught these people how to play the game,” he asks. Through XP, Arrington hopes to refocus the attention on training, as he says it’s more likely to translate to success on the field. Although XP promotes the basic building blocks of the game, he likens it to martial arts to make the point that players won’t outgrow its teachings. “It doesn’t matter how good you get, you still have to continue to do the same movements within your discipline.” According to Arrington, Xtreme Procision will retain its relevance even at the highest levels of the game, as he didn’t learn many of the XP movements shown in his training videos until he reached the NFL. Arrington invoked the meaning of the company’s name to emphasize that becoming a technician requires more than just throwing on an XP shirt and practicing drills. To him, XP symbolizes a mentality. With all the recent media attention given to concussions and player safety, especially with respect to the controversy surrounding the NFL’s enforcement of its dangerous hits policy, Arrington considers the timing of the XP launch to be “pretty fortuitous.” He believes there is a window of opportunity for XP to make a real impact in this area. He admits that there is no guarantee against concussions, as football is a contact sport, but firmly believes that XP will lessen the frequency that those injuries occur. Even though Arrington was circumspect when it came to revealing XP’s business dealings, he openly discussed his personal experiences with being an entrepreneur and his vision for creating a movement with XP. He brought up the closing of his restaurant, The Sideline, in late 2009, which he described as a “crash and burn situation.” A year and a half after the glitzy sports bar opened its doors, Arrington had to file for Chapter 11 bankruptcy protection and later had to shutter its doors. Because of everything that he was able to learn in that failed business venture, he feels that he is a now a seasoned veteran. He compares his current comfort level with business to his playing days, where things just seemed to slow down for him on the field and he was able to make plays. He believes he is in the zone and is making the right decisions to support the sustainable growth of Xtreme Procision. Arrington claims the biggest challenge he has faced with XP so far is just to stay with it. Time is a real scarcity for him. On top of having young kids, he has a demanding schedule as a popular sports journalist, during which he co-hosts a radio show, tapes a weekly television show, and blogs for the Washington Post. It is a juggling act, but to get his venture to where it is now, he confessed that it has become an obsession. Behind this obsession, he is driven by a life-long burning desire to help people and impact lives. He firmly believes that it was divinely ordained for him to get involved with XP. 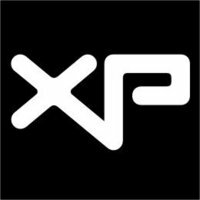 For now, XP is self-funded with no outside investors, and has a tight-knit team that includes both him and his business partner Warlick, along with Ricardo Dickerson and Derrick Davis. As the company generates revenue from sales, Arrington plans to eventually hire a staff and open up camps nationwide that feature XP coaching clinics and seminars. Arrington is convinced that XP will become a powerhouse within youth football and it will eventually find its way into the NFL. This, he says, is the natural progression of a movement he is creating that will change how football is played altogether. He predicts that there will soon come a time where you will be able to watch a football player and say, “That’s an XP-trained kid.” Until then, Arrington will be busy generating a buzz around the XP movement. For more information about XP, visit www.xtremeprocision.com. 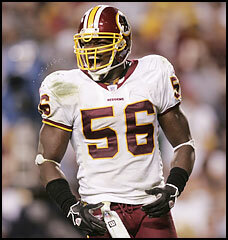 You can also follow XP and LaVar Arrington on Twitter.